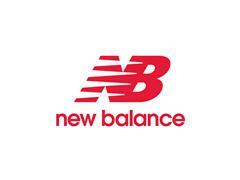 ~~BOSTON, April 2015 – For Spring 2016, New Balance will unveil the NB Precision Run Collection. With thoughtful design details and innovation, the NB Precision Run Collection will keep you cool and comfortable and include a variety of men and women’s tops and bottoms. The Precision Run Collection is designed to be the pinnacle hot weather running collection offering style, function and modern craftsmanship for every workout. With lightweight knit fabric and premium finishes, these pieces are sure to be showstoppers. The collection features superior moisture management and utilizes NB Dry and NB Glow technologies in all styles in this collection. The NB Precision Run Collection will launch in May 2015 include the men’s Precision Run Short Sleeve and Singlet ($85.00 / $80.00), Women’s Precision Run Tank ($80.00), Precision Run ½ Zip ($135.00), Men’s Precision Run Hybrid 6in Short ($80.00), and women’s Precision Run Hybrid 3in Short ($80.00).